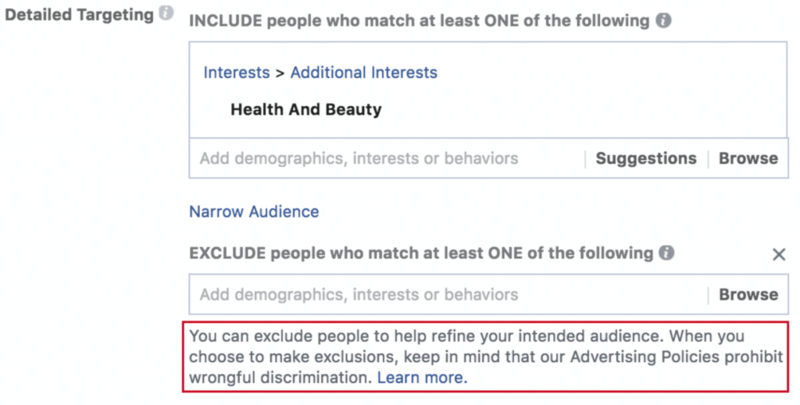 To prevent advertisers from discriminating illegally, Facebook has eliminated 5,000 targeting options from their advertising platform. Facebook has been facing immense pressure concerning their advertising platform. The Cambridge Analytica scandal really moved the discussion into the mainstream and Facebook has been making several changes throughout 2018. 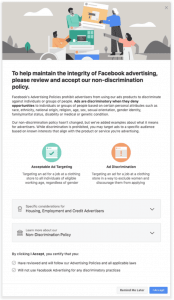 A Facebook post from April discussed how Facebook included additional messages in the platform to help advertisers understand policies. While some of the targeting options had credible uses, the swiftness and scope of the action seems to indicate that the messages weren’t curtailing the behavior as intended. To prevent further issues Facebook simply removed the problematic targeting options altogether. They did not release a comprehensive list of eliminated targets, but given the existence of unethical advertisers it would be a game of whack-a-mole to remove them all. So Facebook took it one step further. While eliminating targeting options has some real teeth to it, this new “certification” comes across as a legal maneuver designed to help Facebook cover their @$$. And while advertisers may still be able to discriminate inappropriately I think that Facebook still may run into problems. Many Facebook campaigns utilize built-in algorithms to optimize ad delivery and these algorithms are very opaque (for good reason since they are built on lots of proprietary information). To play devil’s advocate, what if an advertisers copy is more appealing to a certain race or ethnicity? The Facebook algorithm might follow performance signals and begin discriminating inappropriately itself, but with no control mechanism. Thus, Facebook needs to ensure their own algorithms aren’t inadvertently discriminating as well. For advertisers in housing, employment and credit industries this shouldn’t mean much. For some advertisers that were using these targeting options ethically, it’s a real bummer but you’re just out of luck. For all advertisers online this is another call to be better.